We’ve all heard the expression “Laughter is the Best Medicine” and for the most part I would have to agree. I can’t help but smile at a baby’s laughter or when I hear the laughter of children at play. Doctors even claim that laughter can help reduce stress, lower blood pressure and even promote healing. In a group setting, laughter can be contagious as we listen to a relative recalling a funny story from the past or someone telling that same silly joke over and over. Laughter can lighten a dark mood, relieve a tense situation or even diffuse a confrontation. But I have found that laughter is short lived at best, it’s just in the moment and can actually be hurtful if not for the right reasons. No one likes to be laughed at for being different or when we make a mistake. And some situations cannot be laughed off or we find that people are just too mean for us to laugh at and walk away. Or maybe we’re too depressed to laugh at how we feel. These are the times we have to learn to LAF. At a recent Mind, Body and Spirit Expo in Pennsylvania, my daughter and I came across a booth promoting a colorful children’s book, and t-shirts and other items with a simple logo “ L.A.F. Love Appreciate Forgive”. Being a psychology major, my daughter was immediately drawn to the message of the children’s book “How to Love Myself and Others”. 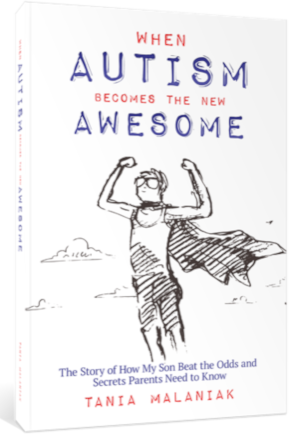 It would be the perfect gift for the young autistic boy she works with. I was more intrigued by the message on the t-shirts: LAF Love Appreciate Forgive, such a simple acronym with such a powerful message. I was then approached by the young man behind the booth and asked if I would share a hug. I was drawn into a warm embrace and immediately felt the sincerity, energy, and unconditional love emanating from this man. And that’s how I met and fell in love with James John and his approach to life: warm hugs and unconditional love. I went to hear James speak later that day at the Expo. There he told us his story. Having made “wrong” turns in his young life, he fought against depression, self-loathing, and even thoughts of suicide. It was the unconditional love of his family that saved him and inspired him to form LAF. I found myself wiping away tears as I listened. He further went on to describe the miracle of his rebirth, the feeling of inner peace and unconditional love and acceptance of all things. I grew up as a Christian, studying and reading the Bible regularly, going to service on Sundays, praying, following the commandments. My beliefs came from tradition and family, I was lucky, some don’t have this structure to fall back on. As I started to compare my faith to these seemingly new teachings of LAF, I realized that they are not against the beliefs I grew up with, they instead focus them into three beautiful words: Love, Appreciate, Forgive. LAF is actually bringing us back to the real essence of those teachings “’Thou shalt love the Lord thy God with thy whole heart, and with thy whole soul, and with thy whole mind.’ This is the greatest and the first commandment. And the second is like it, ‘Thou shalt love thy neighbor as thyself.’” Or when we were taught “… love your enemies and pray for those who persecute you”; and my favorite “… that you love one another as I have loved you…” It’s not complicated, we were taught to Love, Appreciate and Forgive. The message has always been so simple, why then do we choose to complicate it. Life experiences have a way of challenging our belief system even if we are strong in our faith. We pray when we need something, we follow those commandments which don’t interfere with our life style, we interpret the bible to serve ourselves, and when things aren’t working out the way we want, we look for something more or as James puts it the next “Big Thing”. And still we are not satisfied, we continue to search and then, as James says, egos get in the way. “We came into this world only knowing self-love and love for all things…Then the belief system kicks in and starts wrapping over our pure white light with darkness. People who surround us start attaching their beliefs upon us and teach us to fear, to have insecurities, jealousy, hatred, darkness through their ego, and before you know it, we can’t see God/love anymore.” How true, we have stopped seeing God in ourselves or in anyone else; we have forgotten how to love unconditionally. We have simply forgotten how to LAF. Now let’s imagine. What if we did start the day LAFing at ourselves; then went to school or work and LAFed at each other; and when we got home we LAFed with our families and friends. And then we took it further and we LAFed at those who hurt us, who “persecute us”. Instead of retaliating we would “turn the other cheek” and LAF. And then we taught others how to LAF. I mean, think about it, if everyone learned to LAF maybe we would see less road rage, less bullying in schools, less domestic violence, no more racism, even less suicides. And then broaden your imagination and see a world LAFing and at peace. As James sees it, “…. We all came from one Love, Let’s go back there together.” It will happen, one LAF at a time. James is lovingly reaching out to the children first with “How to Love Myself and Others”, a beautifully illustrated book which teaches “…young children how to truly love themselves every day. Once they learn how to fill themselves up with self-love, it shows them how to give love to others no matter what people look like or where they come from.” He now reads the book and shares the message of LAF with hundreds of children in schools and various programs in Canada and the United States. Parents, teachers and those who have heard the message and see the value for the children like me are stepping up to be LAF Ambassadors in their communities, sharing the message of LAF by voluntarily reading to children in churches, mother’s groups, special needs programs, classrooms and even libraries. A new LAF KIDS CLUB is forming to allow children to share and band together in a spirit of LAF. Under parental guidance, activities, crafts, loving messages from James and LAF KIDS CLUB sharings, eventually from around the world, will be available on the livingLAF.com website in the KIDS LAF ZONE. His next mission will be to reach out to those in our society who are the furthest away from self-love. James will be sharing the teachings of LAF with those incarcerated in the prison systems. By sharing his own story and his rebirth into Love Appreciation and Forgiveness, James will have these hardened hearts crying as they learn to LAF. Through LAF, James is giving back to the universe: helping others to live the life they deserve; helping others to realize this sense of inner peace and satisfaction which comes from loving, appreciating and forgiving ourselves and then all others. I’m committed to LAF – Love Appreciate Forgive myself and everyone, every day. James puts it this way, “… Once you learn to live with “LAF” there is no going back, you won’t know how…You look at the world as your new home, loving everything, being happy, and not feeling stressed…Only wanting to help others to feel the same way you do, no matter how long it takes.” It’s really not hard, we’ve had it in us all along, now we just have to learn how to LAF. As an “ambassador” of LAF, Sandy is available for free readings in schools, local libraries and bookstores in the greater Philadelphia area. Contact her at sandyLAFs@gmail.com to schedule a date and time. ← Feeling disappointed in others. I met James at a Hay House Expo in NYC and was lucky enough to share a warm embrace and receive his unconditional love. I also am a follower of James and LAF, I love his mission, so simple yet so fundamental!